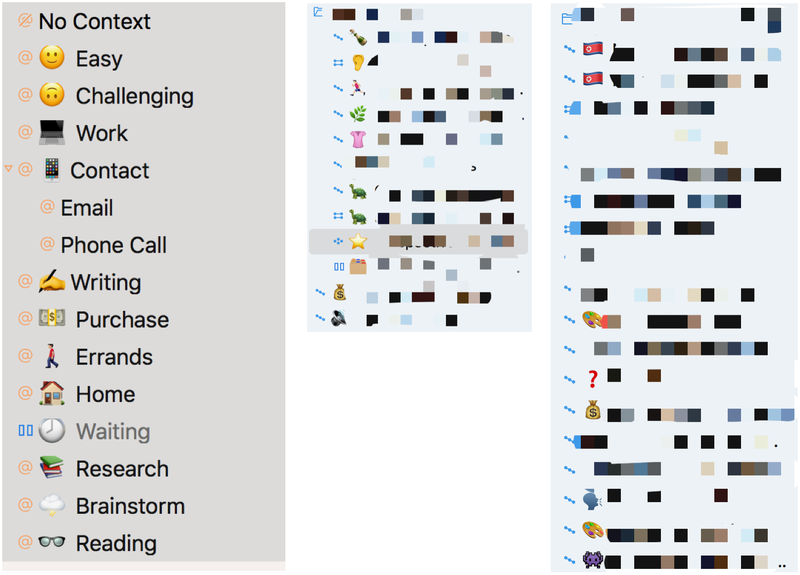 This is a fairly silly tip, but I've found a semi-practical use for emoji and OmniFocus — my favorite GTD tool. I usually have a few too many projects to juggle at any given point. My ability to manage them successfully waxes and wanes, which speaks more to my own GTD discipline, but OmniFocus has always done a good job of helping me keep things reasonably organized. Sometimes though I want certain projects to stand out from others visually. Lo and behold, emoji to the rescue! It's a subtle difference, but it helped me visually discern between the two concurrent winery project — 🍷🍾 — I had going on at the same time. It's also a good trick to employ for a barebones project management tool like Basecamp.